What is LOVE, Dr. Cookerly? : Compassionate Love, A Big Sign of True Love? Synopsis: A vital question starts this mini-love-lesson; followed by discussions of empathy, compassion, their mix, what science says, low compassionate relationships, the question of too much compassion; and ends with what can help and “the answer”. Can you have real love without it being empathetically compassionate? Some of those who look mostly at romantic love, passion-filled love, young love and sexual love tend to exclude empathy and compassion as essential for authentic love. Others think all forms of healthy, real love have strong elements of empathetic compassion. They also tend to think that if empathetic compassionate love is missing, it is evidence the love is false and will fail. So let’s take a look at what is empathetic compassion. Empathy usually is defined as feeling another person’s feelings. This can mean experiencing the same kind of emotions another is experiencing and even the same kind of physical feelings. These can be both good and bad feelings, but more frequently the word empathy is used to describe feeling another’s pain. More exactly, empathy commonly refers to when you perceive another in distress or in a state of hurting, you rather automatically feel a corresponding, similar sort of distress and/or pain. Many think this especially happens in true love relationships but it may happen when viewing any other in any strong state of feeling. Examples include, one seeing a child suffering and you start to similarly suffer, or walking into a group of people laughing you might start to laugh too, although you don’t know what they are laughing about, thus, you are experiencing empathetic humor. Expressing empathy especially to someone in a state of emotional hurt frequently assists love bonding to occur and grow. Sometimes empathy causes people to distance themselves from others who are hurting so as to escape the hurting they experience seeing others in pain. However, it is thought that when there is love it causes a person to go toward, not away, from the one who is hurting. Compassion is usually defined as having deep emotional feelings and emotional understanding of another’s distress and the concomitant desire for the alleviation of that distress, and usually a strong desire to assist in that alleviation. Compassion also is thought to involve heightened perception, caring and responding to another’s suffering. Some think that love relationships tend to wither and die when there is a lack of sufficiently felt and expressed compassion. Compassion often is seen as a key factor in both the healing of the psychologically wounded and many damaged relationships. Compassion opens doors to giving needed care, offering forgiveness and unselfish, altruistic action. Many very helpful and healing behaviors begin with compassion. Well expressed and received, compassion also precedes improvements in relational closeness, cooperation and collaboration. If in the middle of a difficulty, someone has and shows empathetic compassion for whoever is in agony or distress, amazing improvements often can start to occur. To accomplish this sort of thing, empathy begins the process. Someone feels the feelings of a suffering other, and then has compassion, resulting in actions that show and give care. From that improvements begin. Some may feel empathy but for various reasons may not have compassion and, therefore, actions of care can be weak or absent. Others may act out of duty, guilt, obligation and other sentiments in ways that may seem to be compassionate love, but without the empathy the acts, in various ways, are less. Recently the brain and behavioral sciences professionals have been researching empathy and compassion and coming up with very important findings. Did you know that when you feel empathetic compassion you trigger your brain into more healthfully adjusting your own heart rate. You also cause your brain to make better and more healthful, neurochemical changes which result in feeling better both physically and emotionally. Feeling empathetic compassion also produces hormones involved in the brain’s motivating and processing interpersonal interactions. That in turn makes for better interpersonal harmony and love bonding. Loving feelings become more common and stronger while stress reduces. Care giving actions increase and are felt as more rewarding after empathetic compassion starts to be felt and expressed. Another interesting fact is that empathetic compassion in loving relationships causes people to live longer and spend less time in medical care. Love relationships with low empathetic compassion are seen as having the opposite of these effects. Can Low Compassionate Love Relationships Be Helped? It is thought, and the data suggests, that those relationships where there is low expressed, empathetic compassion, tend to fail or at best function far more poorly than they might. Questions arise like, what can be done, can compassion be learned and increased, or are low compassionate relationships doomed? Are the people who lack sufficient empathy and compassion condemned to live sicker, shorter and more loveless lives while repeatedly having more love failing relationships? About such questions there’s good, bad and indifferent news. Some of the good news is that according to Stanford Medical School’s Center for Compassion and Altruism Research, compassionate training can significantly assist people in learning to have and show compassion, receive compassion from others, and get good at self compassion. All of that improves the activation of the brain’s regions most associated with love, kindness, general positiveness, stress reduction and it results in improvements in general health and positive affiliation and connectedness with others. In other words, compassion training improves people, relationships and the love in love relationships. The bad news is that people low in empathetic compassion usually don’t know how bad that is for their love relationships and for their own health. Sadly there are quite a few people who see empathy and compassionate love as weak and useless, or worse. Many of them have been taught that being tough, unfeeling and compassion-free is a virtue of the powerful and the successful. It goes along with being tough-minded, efficient, practical and this is needed for survival in a tough world. 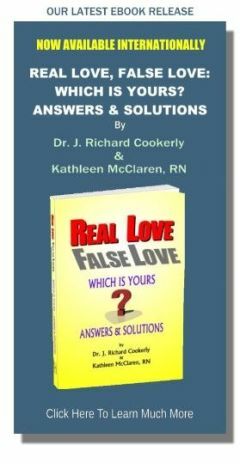 The research on love and health, especially couples, family and comradeship love, would suggest just the opposite is true. The indifferent news is that a lot more research is needed about all of this. Can There Be Too Much Empathetic Compassion? Like most things, empathetic compassion probably needs to be balanced with good sense and other factors like the ‘love that challenges’ (see the mini-love-lesson titled Are You a Challenge Lover?). There seem to be people who are made dysfunctional by their overwhelming compassion or empathy, but they are quite rare. If empathetic compassion is effecting your physical and/or psychological well being it may be too much. Or it may be that you might need to learn how to be compassionate and self-caring at the same time. Are Some Totally Lacking in the Ability to Be Empathetic or Compassionate? There are those in the clinical fields who think that, for all practical purposes, the answer to this question is “yes”. Psychotherapists, clinical psychologists and psychiatrists tend to diagnose such people as either sociopaths or psychopaths. They also tend to say that they are likely to be both incapable of love and of being cured, though they frequently can fake love and mental health rather well. This especially is true if it is to their own advantage and to other’s disadvantage to do so. Others think that with long term, quality, therapeutic help even the sociopathic and psychopathic can learn to have empathetic compassion and, therefore, can learn to do healthy, real love. In some Family Studies and Family Therapy professional groups the inability to have empathetic compassion is seen as evidence of the inability to have genuine love. 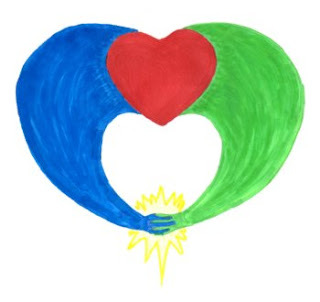 Education, training, counseling, psychotherapy, relational therapy, self-examination and friendship all can be of considerable assistance in helping individuals and relationships grow and benefit from increases in empathetic compassion. Especially useful is the kind of training pioneered at Stanford called Compassion Cultivation Training (CCT). Research in applying CCT in counseling and therapy is occurring and looking quite promising. Joint couples and family members education concerning empathetic compassion also may be quite helpful. Asking yourself and loved ones about how you might work together to increase and better express your empathetic compassionate love might also be a good way to go. The original question was “Is empathetic compassion a big sign of true love? Here’s the answer, as I see it. Healthy, real love does indeed require an element of empathetic compassion, and if it does not exist in a love relationship then healthy, real love probably doesn’t exist in that relationship either. We must acknowledge that others disagree. So, what do you think? Can you think of two ways you could improve your expression of empathetic compassion to your loved ones?